Based on novel "Ima, Ai ni Yukimasu" by Takuji Ichikawa (published February 27, 2003 by Shogakukan). Junhee Apr 09 2019 5:48 pm If you come here to see if this movie worth to watch or not, just watch it! Definitely won't regret anything. This movie is highly recommended to watch. The storyline is so beautiful you can't help not to drop your tears. Kudos to everyone who work together to make this movie. Strongly saying that this is an A class movie. Dreamer Feb 22 2019 9:13 pm Amazing Effort.. Sohn Ye Jin and So Ji Sub.. ? Yeol Jan 21 2019 7:39 am Aaaahhh the feels when Joo Jong Won (So Ji Sub) and Tae Gong Shil (Gong Hyo Jin) reunited <3333 i love them so much in Master's Sun!! Ryu Samuël Dec 10 2018 7:09 pm The japanese version was wonderful and I was afraid this korean remake would be boring but it was magnificent too. I did cry a lot like the first time I saw the japanese version many years ago. The plot twist is very good too. Dim Nov 09 2018 10:14 am Have you ever watched a movie, then cried from the first 15 minutes until the end? ainschiaki Sep 12 2018 11:17 am Didn't watch the japanese version but this remake is terrific. It's so heartwarming melodrama. The plot twist in the end was like.. damnn.. still can't get over this yet. YangGuh Sep 10 2018 11:58 am definitely should watch This movie!!! Park Seo Joon and Kong Hyo Jin Cameo! And The most important part, So ji sub and Son Ye Jin were truly amazing!!! The plot too!!! Its a melodrama but the way story-line were write are clearly more Worth it!!! 10/10 star! YOU MUST WATCH THIS MOVIE! Ruth Sep 09 2018 6:00 am I was lucky enough to see this at the Korean Film Festival in my city and wow it was great! The perfect mix of funny, sad and sweet. The whole cinema laughed and cried together. SarangLee Jul 08 2018 12:27 am Wow. 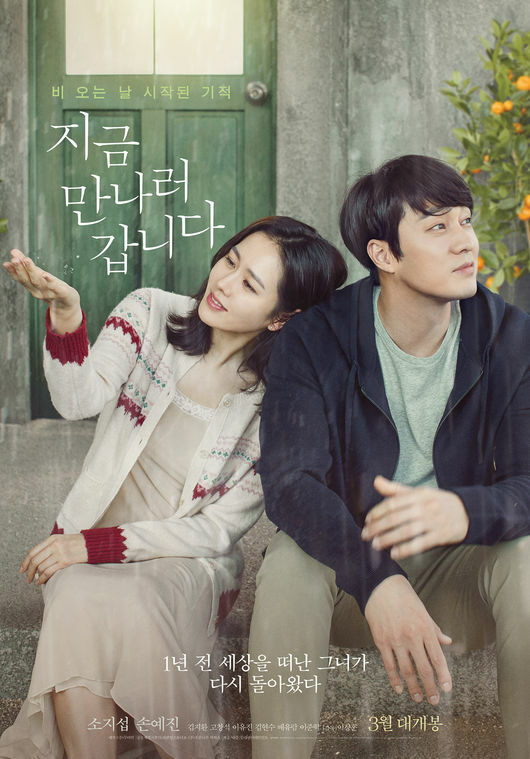 Son Ye Jin, another movie that make my eyes cried. I love it. Ore-sama Jul 06 2018 3:34 am Heyyyyy! I know this story... I've read the comic adapted from the novel..like 10 years ago..and this is my favourite story ever! Just the title is different so i didnt notice this movie before. I bet this is a beautiful movie. Definitely will watch it. Lina Jul 05 2018 7:12 am The plot twist at the end makes the movie 1000x better and a million times more comforting ??? Ree Jun 30 2018 11:25 pm The twist at the end... They are meant to be. 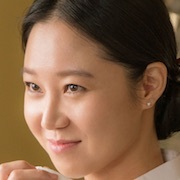 Son yeh jin still so beautiful..
Beverly Jun 24 2018 9:54 am Gorgeous, sweet and lovely film. I cried a lot but they were sweet tears. way0leto Jun 23 2018 11:03 am A beautiful drama. I like it so much! So ji sub & son ye jin nailed it! Yoksi, from veteran actor/actress! 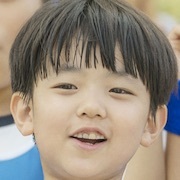 And not to forget child actor, kim ji hwan! Ko chang seok too, really bring the movie lively. Young woo jin & young soo ah also give impact to the movie. Btw, so ji sub and park seo jun, they really looks like father and son! Heol! Sunday Jun 21 2018 12:56 am This movie was beautiful and touching. I felt the love and heartbreak that was portrayed so well by Son Yejin, So Jisub, and the adorable young actor who played as their son. I especially love how natural their relationships were. Fantastic acting and lovely story! PS. 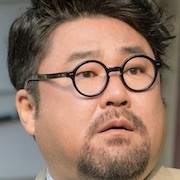 All the Cast were Daebak! Gonna watch it again!!!!!!! Liz Jun 19 2018 6:57 am Three characters. With the best actress and actor, that’s really all you need to make a good film! PSJ was a nice surprising bonus! lama Jun 18 2018 2:42 pm soooooooooooooooooo beautiful and great movie, son ye jin wonderful actress. i hop i will see you more and more. jinjoo Jun 17 2018 4:19 pm just finished watching this and it made me teary-eyed! what a wonderful movie and i fell for so ye jin and so ji sub once again in this movie! i'm wishing even in my mind that someday these two will be a real couple, they absolutely have an unbelievable chemistry together, both great in their roles, so natural so convincing! loved this movie and most of all the both of them! hope to see more of them, my all-time favorite K actors!!! fighting! Allie Jun 05 2018 2:47 pm Mere words could not express how poetic and wonderful this movie is, this one is not soon to be forgotten!!!??? Soysoy Jun 05 2018 5:44 am I know this will be heartbreaking like the japanese ver. But still I'm gonna watch this. Kaylin May 09 2018 1:04 pm Beautiful movie. It’s very touching. I recommend this! SYJ and SJS had great chemistry on screen. They look great together. The little kid was good too! Romy May 04 2018 7:42 am The japanese and korean version both made cry eventhough i'm a man ?? ditaf Apr 28 2018 7:39 am really great movie! !i love it!! Sav Apr 19 2018 7:52 am This was so good and made me teary. As expected of Son Yejin & So Jisub ?? Elena Mar 31 2018 2:04 am Does anybody know if it is planned to be shown in cinemas in France? PANDORA Mar 03 2018 12:07 am So Ji-Sub remains one of the best actors of our time. His versatile acting to transform into any character needed to deliver the best is pure magic. I love him so much he looks so pure and vulnerable in the trailer, I'm crying. Cannot wait for this! Ann Joel Mar 02 2018 9:22 pm Dear Netflix Dramagods in New Zealand can you please release this when it premieres pretty please? I promise I won't ask for another request until next year . ❤️ That trailer with English subs got me so hyped up I was quite emotional in the first 20 seconds so much that I know I'm going to be a train wreck if I get through the entire movie. eggs Feb 26 2018 3:08 pm Even the trailer made me cry. DiJay Feb 22 2018 3:05 am Awesome trailer! Will definitely watch this! theQueenSYJ Feb 19 2018 2:06 pm The trailer looks so promising! Hoping for great box office results and a US release! Son Ye Jin and So Ji Sub fighting! Ros Baj Feb 19 2018 1:34 am Omg! I'll be waiting for this movie..? SYJQUEEN Feb 18 2018 10:35 pm The trailer is released!!! Son Ye Jin is astounding! So Ji Sub is heartbreaking. Wishing successful box office reports and a US release!! Fighting! nananabina Dec 05 2017 7:25 pm OMG I will watch this!! tsuyoi_hikari Nov 25 2017 8:15 pm OMG I just know about this remake today. I absolutely love the original since it made me cry like a river so I hope the Korean version will be as good as the Japanese version. Chakita3 Nov 20 2017 9:01 pm Both beautiful and divine....have waited so long for this pairing on the big screen. Its going to be emotional, amazing and one to remember, absolutely! The beginning of so much more....dont hold back guys, please... Both brilliant to watch, this drama is gonna be daebak thank you thank you... So Ji-Sub and SonYe-jin...FIGHTING! Upatipa Sep 17 2017 10:06 am My favorite actor and actress paired together. Hope this movie will success. ? AishaKith Sep 05 2017 6:30 pm I've been waiting for these two together as lovers. They were casts as siblings before. This is a dream come true! Mycz Sep 05 2017 11:43 am Can't wait to watch this. My So Ji Sub I love you oppa <3 Goodluck for your new movie. Hope the audience will enjoy it. jin joo Aug 31 2017 9:43 pm Japanese version of this made me cry!!!! yey Aug 31 2017 11:28 am yes.. favorite good looking actors are going to play in a movie adaptation of one of the best movie cant wait to shed tears..
Aecelle Aug 31 2017 11:20 am Omygod! My two fav actors!! Can't waut for this one! ??? Karen Khoo Aug 31 2017 12:46 am I cried my eyes out watching the Japanese movie Be With You. Especially the OST Toki wo Koete touches my heart. Aisha Apr 17 2017 11:48 am Son Ye Jin and So ji Sub together in a drama series...... I can't wait to watch... Please accept the offer... :) jebalyo!